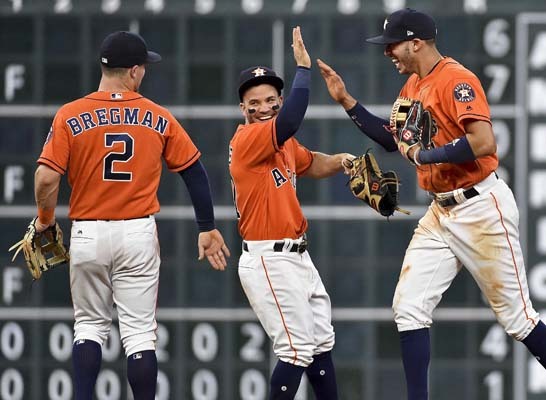 HOUSTON -- - In his last few starts, Houston's Joe Musgrove felt like he had been the weak link on the team with the best record in the majors and he was determined to turn things around. 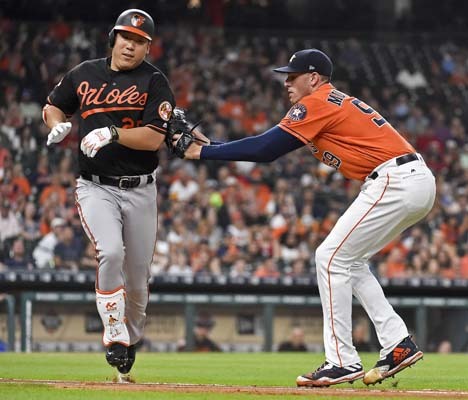 He was able to do that on Friday night by pitching seven strong innings in the Astros' 2-0 victory over the Baltimore Orioles. 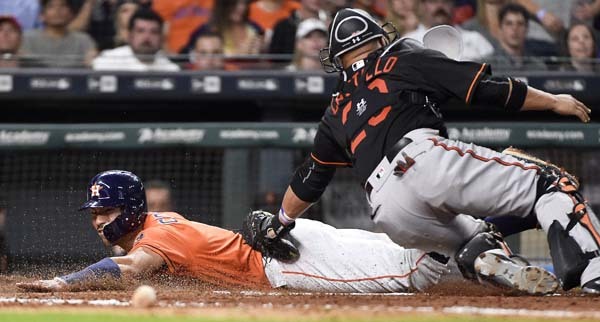 Jake Marisnick and Carlos Beltran homered to back his start. 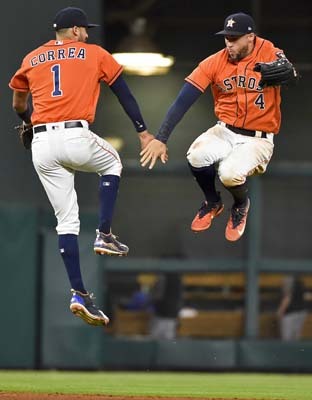 Marisnick went deep with one out in the third inning, and Beltran's shot to the second deck in right field came with two outs in the sixth. 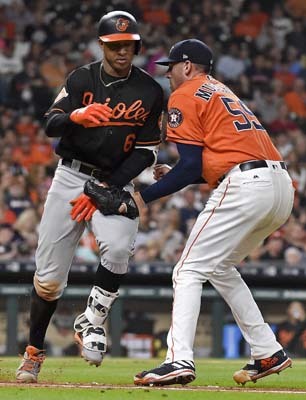 Musgrove (4-4) allowed four hits in seven innings before the bullpen closed it out to send the Orioles to their season-high fifth straight loss. "He pitched with a little bit of edge to him tonight," manager A.J. Hinch said. "He was all over the strike zone which is one thing; he usually is. But I thought the quality of his strikes was a step above where he's been when he's gotten in trouble. I thought the execution of his secondary pitches was a difference in the game." Musgrove bounced back after allowing eight hits and a season-high seven runs in a season-low three-plus innings in an 8-6 loss to Cleveland in his last start. "I'm really just happy about being able to get some of the trust back with some of my teammates and stuff," Musgrove said. "Not to say that they've been down on me, but it's tough to go out there and put together bad outing after bad outing and feel like your teammates are not really confident going into that day. So I'm happy that I can put a good one out and hopefully continue to build off of that." 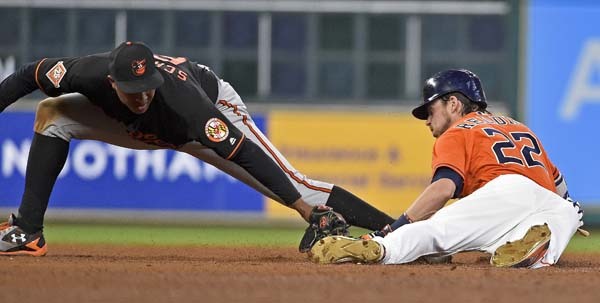 The Orioles weren't able to string any hits together until the eighth inning when a double by Hyun Soo Kim and singles by Jonathan Schoop and J.J. Hardy loaded the bases with no outs. But Chris Devenski struck out Seth Smith before retiring Adam Jones and Manny Machado on fly balls to escape the jam. Ken Giles struck out one in a perfect ninth for his 14th save. Kevin Gausman (2-4) yielded eight hits and two runs in 6 2/3 innings for the Orioles, who have dropped seven of their last nine. Machado had two hits, but the other three batters at the top of Baltimore's order went 0 for 12 with seven strikeouts, including four by Smith. "Nobody's panicking because even though we're losing, we're playing good baseball," Schoop said. "We got our chances, but we didn't come through tonight. It'll change." 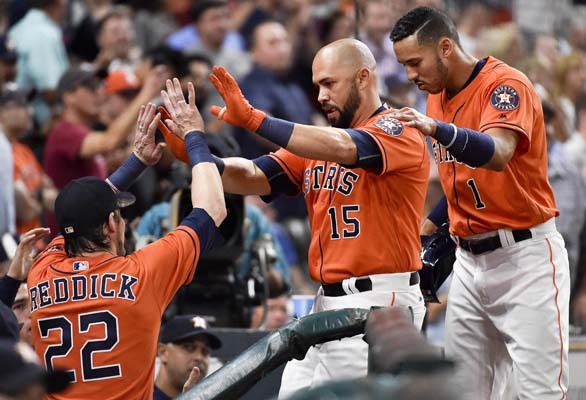 Marisnick homered in his second straight at-bat after hitting the go-ahead home run in the eighth inning of a 7-6 win over the Tigers on Thursday night. 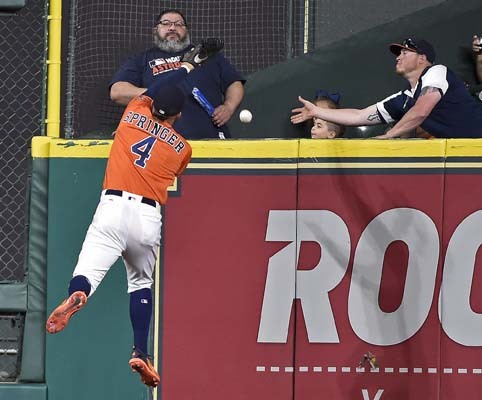 George Springer followed with a single and Josh Reddick reached on an error by Schoop at second base. But the Astros were unable to add on after Gausman retired the next two batters to end the inning. Marisnick has six home runs this season after hitting just five last year. The Orioles have moved struggling RHP Ubaldo Jimenez to the bullpen and will move reliever Alec Asher into the rotation to start on Sunday. Jimenez is 1-2 with a 7.17 ERA in nine appearances with eight starts this season. Asher has started two games this season but has worked mostly as a reliever and is 1-2 with a 2.17 ERA. 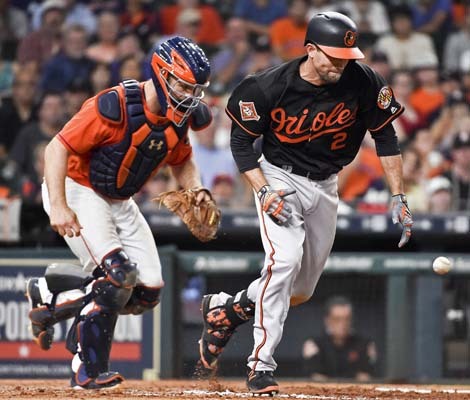 "I think he deserves the opportunity ... the challenge is that it takes a guy that's been pitching well out of our 'pen," manager Buck Showalter said. "But we've been challenged to try and figure out a way to get a little deeper in some of the games, and it doesn't really matter who we've got in the bullpen if we don't." The Astros optioned C Juan Centeno and RHP Jordan Jankowski to Triple-A Fresno after the game to make room on the roster for the expected return from the DL of ace LHP Dallas Keuchel and C Brian McCann on Saturday. Keuchel is on the 10-day DL with the pinched nerve in his neck and McCann is on the 7-day concussion list. Orioles: Wade Miley (1-2 2.59 ERA) is scheduled to start for Baltimore on Saturday. He allowed six hits and three runs in seven innings of a 3-1 loss to Toronto in his last start and hasn't gotten a win since April 14. Astros: Keuchel is expected to come off the DL to start on Saturday after missing just one start with his injury. The 2015 American League Cy Young Award winner has brushed off a tough 2016 season by opening this year 7-0 with a 1.84 ERA. The left-hander has the second-lowest ERA in the majors and his wins are tied for most in the big leagues.